I designed a simple build plate (220x220x5mm) and saved it as stl. I then inserted it as model. How do I center it within the grid and lower it so it's shown under the grid? Host will always show it atop if you simple load it. You need to go into printer settings->Printer Shape at the bottom. There you can load it and set a color per stl file. The grid will still be painted by host as it is used before, so you have to leave that area empty in your model. OK, it seems I must of completely expressed myself incorrectly. When designing the object it must be placed and positioned as shown in the picture. 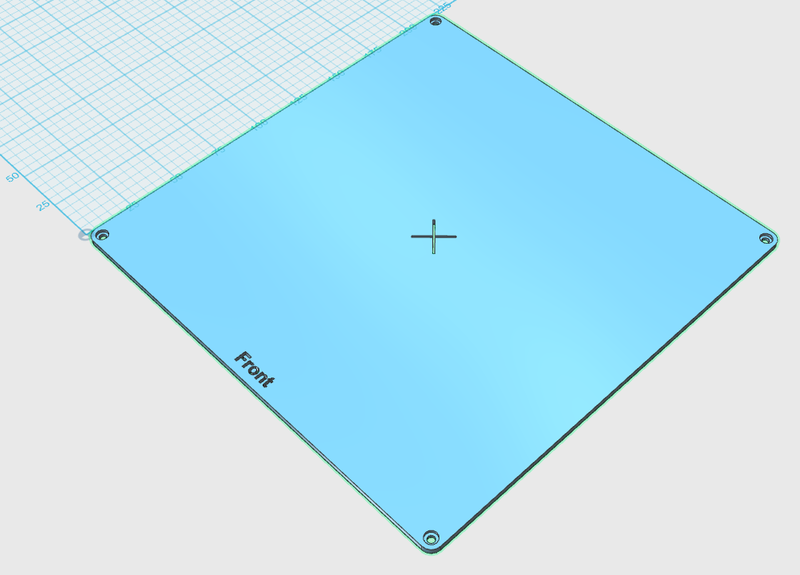 Be sure to also lower the object under the grid before saving it as an STL file!